Let’s pretend for a moment the company you work for - a multi-national, multi-billion dollar corporation with over 300,000 employees - is looking for a place to set up a second headquarters. You’re probably going to want to know what life is like in the cities you could be transferring to. You’re the kind of person who thrives with a good work/life balance, you hate long commutes, and you want a cost of living that affords you some of the finer things in life, like an Amazon Echo for example. Well, you’ve come to the right place – Winnipeg, Manitoba, Canada. We don’t have the warm west coast air of Vancouver or a pretty view of the mountains like Calgary. We also don’t have a 550m tower that Drake sits on like Toronto. But what we do have is a beautiful prairie landscape , with a quality of life that simply can’t be beat. That means very affordable homes and a drive from work that allows us to make it home on time to get our kids to hockey or to those Zumba lessons at 6. Just how affordable are our homes? And are our commutes really that much better than other major Canadian cities? We had our crack team of number crunchers here at Economic Development Winnipeg compile this handy comparison list, so we can show you just how far your dollar goes and how far you have to go to get to work in these four Canadian cities. Scenario 1: You’re a mid-level manager in this electronic commerce company looking for a new home. Your company still needs to settle on Vancouver, Calgary, Winnipeg or Toronto, but because you’re smart, you’re doing some advance research. You’ve got a partner, and two kids who keep you busy with extra-curricular activities. You’ll need some space (at least 3 bedrooms) and you want to keep that commute to a minimum. Your budget is about $430,000 but certainly no more than $450,000. Here’s what you can get in your budget range in these four cities. Truth be told, you aren’t going to find a house in Vancouver in this price range. You have to look in one of the many communities that make up the Lower Mainland, like Burnaby or Surrey or Langley, or Richmond, which is where we found something in your budget. Your commute from this ocean-side community to downtown Vancouver is a pretty reasonable 32 minutes (outside of rush hour). The view from your rooftop patio of the Fraser River is incredible and you’re close to the marina. Well actually you’re in the marina, which is where you live in this floating house boat. That’s right! Don’t like your neighbour? Move your house! But seriously, people actually do live in these floating homes and love the lifestyle. This city has been booming for years, and while it has its share of growing pains in the form of housing prices and traffic issues, it’s still a great place to raise a family and a short drive to the Rocky Mountains. We found you a renovated 1959 3br/2 bath bungalow in a community called Fairview, about a 21 minute drive to downtown. Not bad. This one came in just under the maximum budget and it’s quite a way from downtown Toronto - in Brampton. Your drive to and from work will likely take you an hour each way. Many folks who live in the GTA and commute downtown will tell you this is normal. The house itself is decent enough, but one of the kids will have to sleep in the basement. 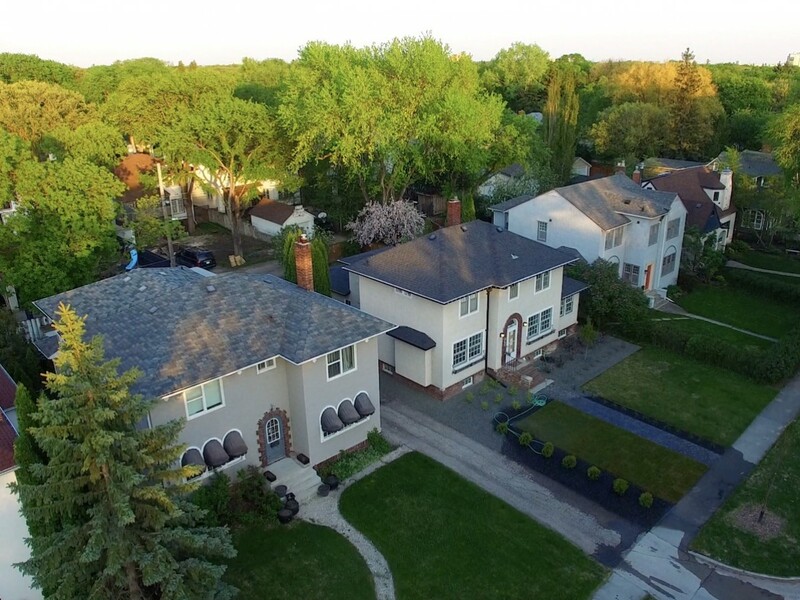 Ask anyone who lives in The Peg and they’ll tell you that River Heights is one of the most sought after neighbourhoods in the city. It’s no surprise when you find out the commute downtown is 15 minutes, sometimes 10! It’s an established community with your pick of schools and parks and a canopy of trees on almost every street. This house was built in 1945 so it has a classic look but has been totally renovated. It’s got 3 br/2 bath, full basement and a big back yard. It’s essentially perfect. You’re welcome. Scenario 2: Like your alter-ego, you’re a mid-level manager, but you have no family to take with you to your new city. You’re also an urbanite who likes nothing better than walking to work to your company’s downtown office tower. You want an extra bedroom for an office and when family comes to town, and your maximum budget is $350,000. Here’s a quick rundown of what four cities have to offer to the condo crowd. Well, we looked and looked but could not find anything in your range near downtown Vancouver. You may have to look further outside of Vancouver or settle for an apartment for now. We found you a nice place right in the downtown commercial core that meets all of your specifications. The view is unbeatable too. It’s an older building, built in 1980. There are pretty slim pickings in downtown Toronto, but this unique two-level condo is located in Danforth and a reasonably quick subway ride downtown. It’s a bit of a fixer-upper so be prepared to put some more cash into this one. This place is located in one downtown’s newest high-rises, the Glasshouse Skylofts. It’s not just a name - one whole wall of this 763 sq. ft pad is windows. You’re about a two minute walk to the shops and restaurants of the historic Exchange District and five minutes from the financial district at Portage and Main. Oh, and that building outside your window? That’s BellMTS Place – where the Winnipeg Jets play. We hope we’ve helped you make an informed choice for your top pick on where your company should move. So, go on, copy and share the link to this story and be sure to send it over to your boss, whose name may or may not be Jeff. Information and photos compiled from realtor.ca and current as of September 26, 2017.